Residents are incensed that the high school's new grandstand looms over their backyards, worried that people can peer into their homes and that it may affect their property values. 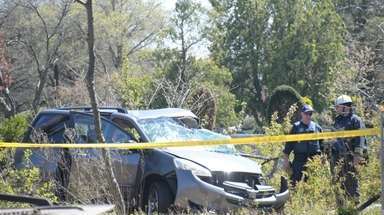 "What you are going to have is people peeking in and throwing stuff in your backyard," said John Seaman, 67, whose property is adjacent to the field. "The bleachers stand 40 feet high, and with the press box it is an abomination." 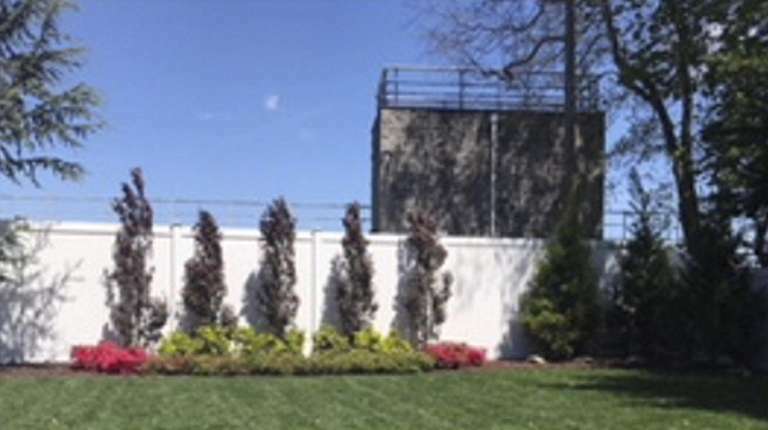 North Babylon school district officials, in a statement, said details of the project were shared with the community and approved by the state Education Department. The bleachers, on the field's home side, are part of a $69 million school bond issue for infrastructure upgrades that voters OKd in December, 872-499. Overall improvements are to be done over four to five years. Construction started this past summer on the $9.5 million athletic fields project, which includes improvements to football, baseball and soccer fields, as well as tennis courts and track and field areas. Home football games are being played at the middle school this fall. 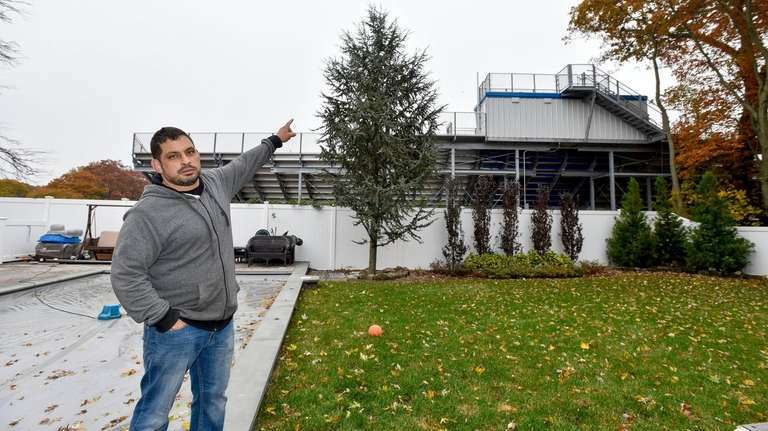 Chris Cannella, 42, who has lived in his Spangle Drive home for 15 years, noted the bleachers loom over his backyard and are much higher than those they replaced. The old bleachers barely topped the fence, which is 6 feet tall, he said. “If you stand in any room in my house, you can't leave the shades open," Cannella said, adding he is worried that people could fall off the bleachers and into his yard. "It is that close." The home-team grandstand has 1,200 seats and was budgeted to cost $525,000, according to the district's website. The visitor's bleachers, with a seating capacity of 900, were budgeted for $375,000. The property of Spangle Drive resident Michael Denino, 50, also abuts the field but is not as close to the bleachers as the backyards of Seaman and Cannella. Still, he voiced concern, questioning why the district located the much larger home-team bleachers near the residential area while the smaller visitor bleachers are on the opposite side. Denino said he supported the bond issue but is worried about his property values. "There is no way any sane person can look at this and say, 'What is the big deal?' 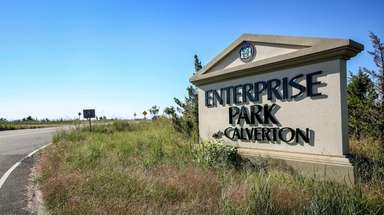 It is crazy the lack of planning for the people who live here," he said. 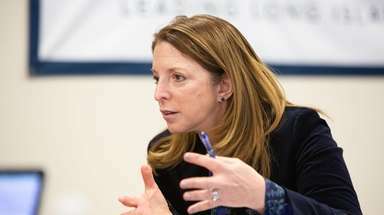 North Babylon schools Superintendent Glen Eschbach said in a statement that "following the community-approved bond vote, the district began construction on a multitude of projects as scheduled and communicated with residents via public presentations, written communications and photo/video productions." School officials said that in addition to the athletic field upgrades, the bond issue will pay for improvements to infrastructure and classrooms at each of the 4,700-student system's seven schools. "Throughout this process, we continue to update the community on the progress of construction through the district’s website and at open meetings," Eschbach said in the statement. "Under the guidance of professional architects and contractors, all construction projects are being completed exactly as planned, designed and presented to the community and with approval from the state Education Department."